​More baseball means more dingers. On Saturday, baseball fans were given the Spring Training edition of the Chi-Town battle between the Cubs and the White Sox. 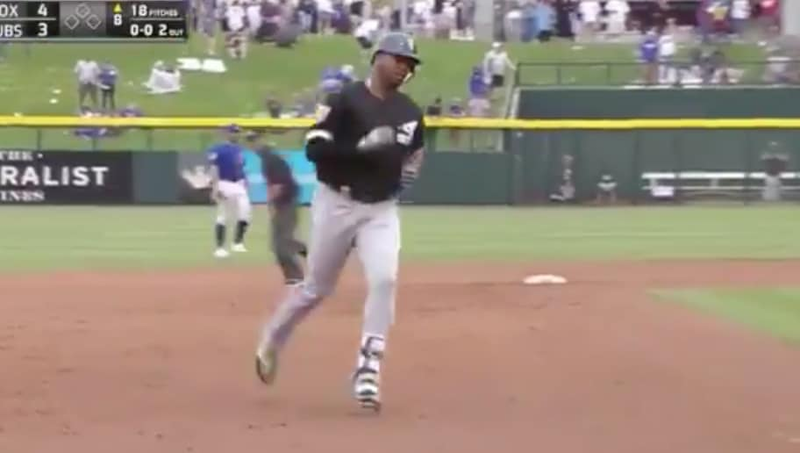 With the Sox trailing by one run in the top of the eighth inning with a man on and two outs, top prospect ​Eloy Jimenez drilled an 0-2 curveball out of the park to give the South Siders the lead. You have to love the opposite field power. Jimenez, who actually started his professional career with the Cubs, got ​traded to the White Sox in the middle of 2017. It is safe to say that the move worked out for him. He reached Double-A last season in the Sox's organization, hitting .353 with three homers. He also added five doubles to his name in just 68 at-bats. His totals in 2017 between the two teams included a .312 average, 22 doubles, 19 home runs, and 65 RBIs. It is safe to say this outfield prospect can hit.